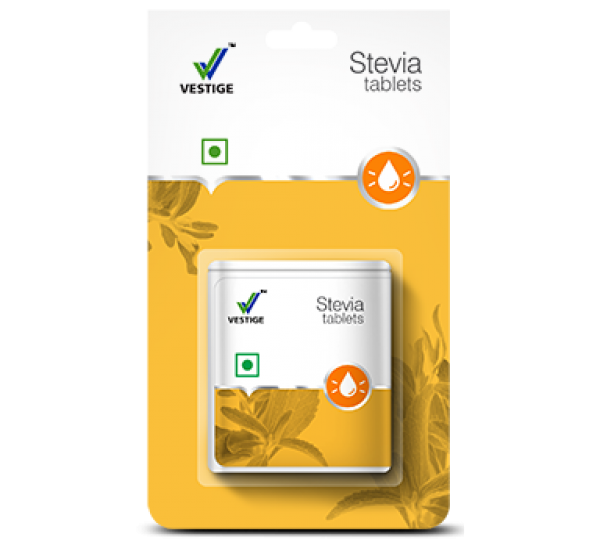 Vestige Stevia is a 100% natural low-calorie sugar substitute. It is a healthier alternative to sugar as it is made from natural herbs and does not contain Aspartame. Vestige Stevia is completely carbohydrate and fat free thus ensuring the safety of diabetics and the weight conscious. Ideal natural sugar substitute (less than 2% calories of sugar per tablet) suitable for low calorie diets and weight watchers.